They see me strollin’, they hatin’. 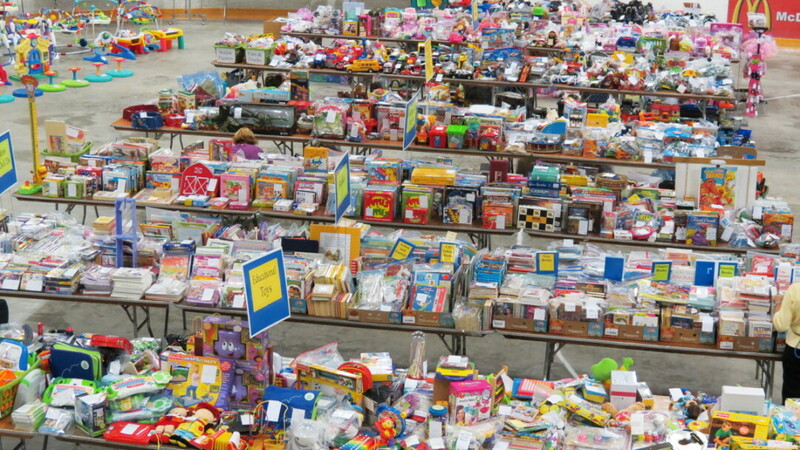 Here We Grow Again is back for its biannual children’s consignment sale at the Hobbs Ice Arena. With 10 years of experience, curators Donna Kmetz and Mary Jo Hanson have this sale professionally staged and extraordinarily run. The event spans the length of one hockey rink, with racks and racks of quality used clothing for sale at reasonable prices. 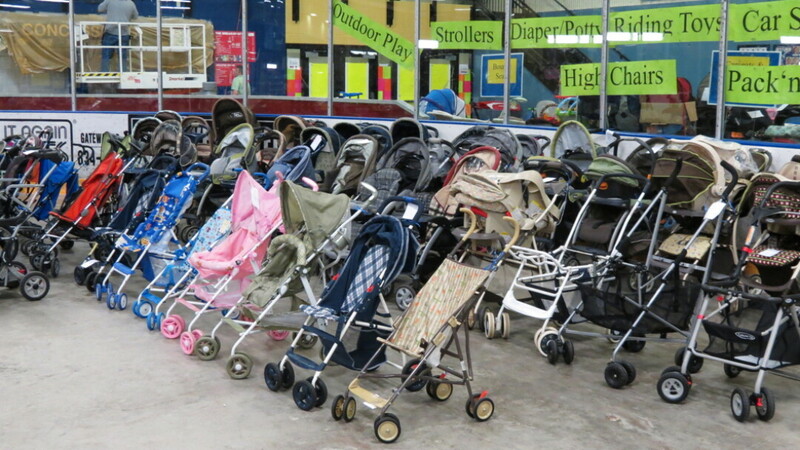 Sporting equipment, toys, books, and furniture are also plentiful at the sale. The perimeter of the rink is lined with generous vendors sponsoring the event. The public sale opens at 8am Friday, April 17, and continues into Saturday. On Sunday most remaining items will be half price. Look ahead to the fall 2015 sale and consider volunteering for one shift or selling your items at Here We Grow Again. Volunteers and consignors are given the privilege of shopping on Thursday evening at the special presale event.